What kind of mantis is there in Japan? 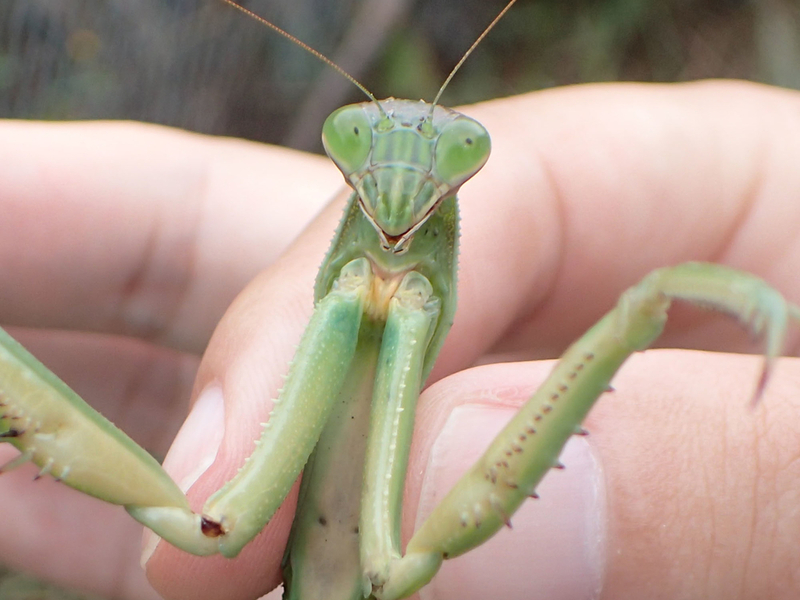 Mantises are popular as a bug hunter! They glow during Spring and Autumn. Therefore, we can see the imago of them in Autumn. 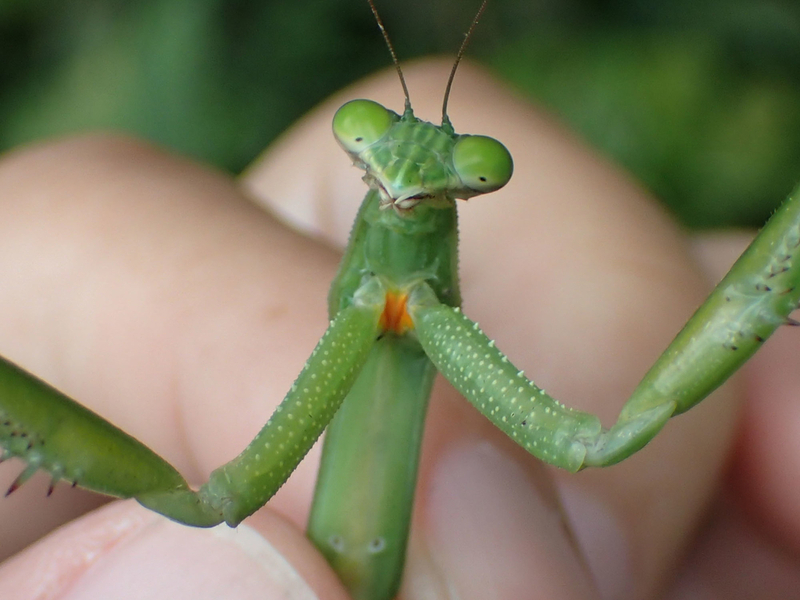 Mantises are pupular insects with children. Because, they have many charms. They are typical "bug hunters". The way of hunt is also interesting. Speaking of hunt, don't you imagine tracking a prey? But, the hunt of mantis is different from it. They make a surprise attack. 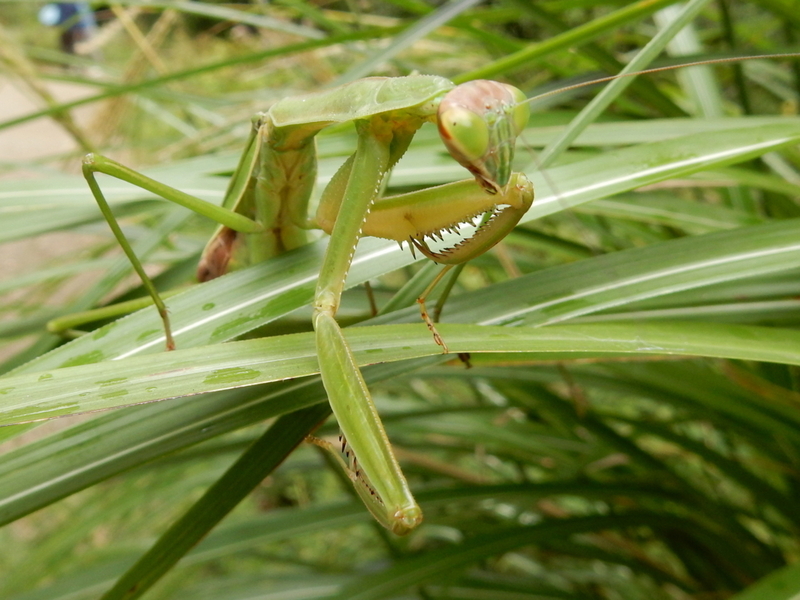 The mantises are similar to grass. Normally, mimic is used for defence. However, the mantis use mimic for hunt! The mimic for hunt is called "Peckham type mimicry". Surprisingly, they sometimes hunt the hornet. On the other hand, they are hunted because their defensive strength is too poor. The failing of hunt brings about their death. "オオカマキリ" is a largest mantis in Japan. The length of body is about 10cm. It's also a strongest mantises. We can see them in the grass near forest. 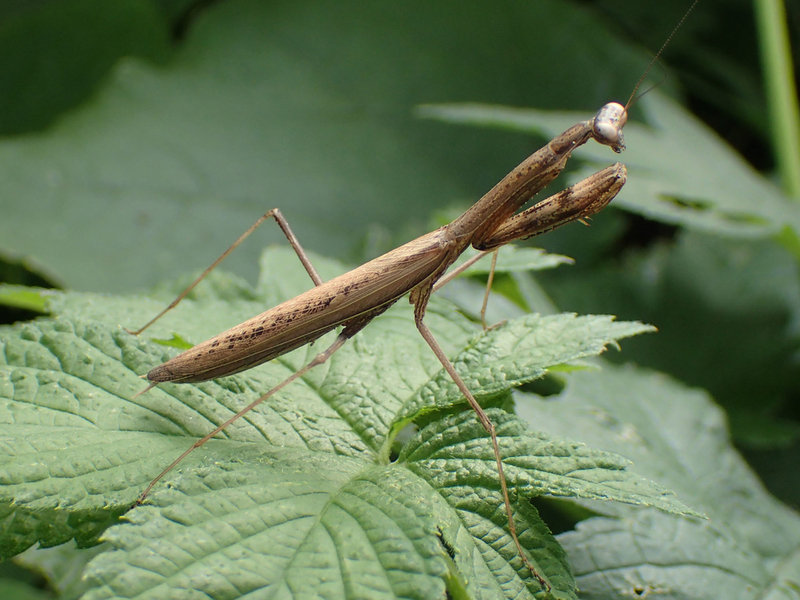 There is another mantis similar to "オオカマキリ". It's "チョウセンカマキリ (Chosen-kamakiri)". The differences between them is here. "1." is hard because you have to open their wings. 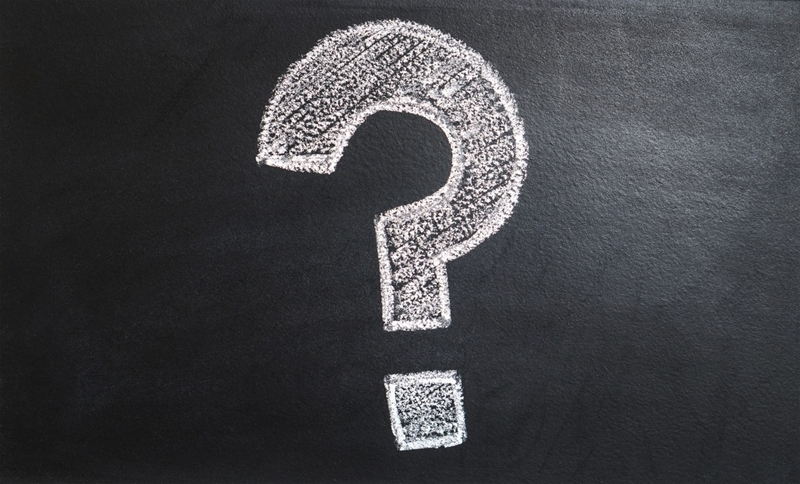 So, I recommend "2.". The following is difference of breast. The breast color of "オオカマキリ" is yellow. The one of "チョウセンカマキリ" is orange. Also, there are 2 color types. The previous picture is green type. Here is the bark type of "オオカマキリ". They use the color type depending on color of habitat. 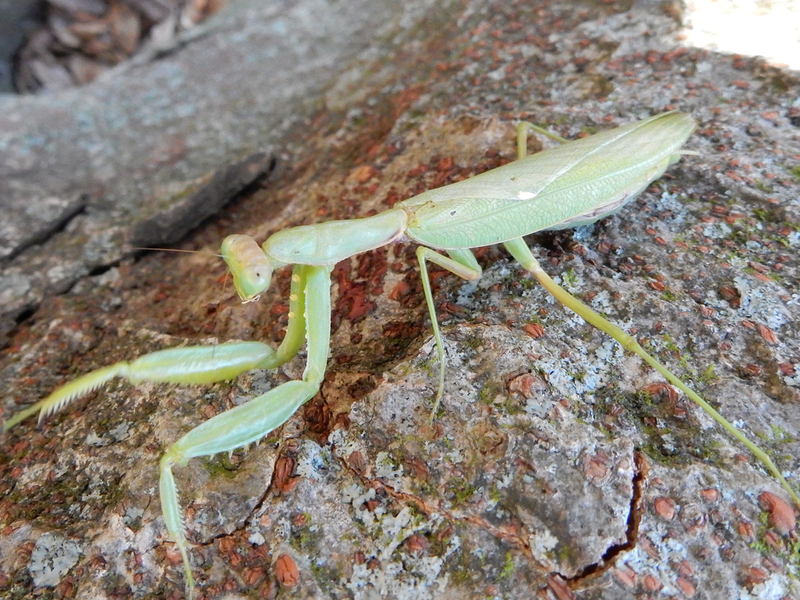 "コカマキリ" is small mantis. The length of body is about 5cm. It's a slender. Way to distinguish is the black marking of anterior leg. Also, they are almost bark color. We can see them in the low grass. "ハラビロカマキリ" has a wide-belly. So, they seems to pudginess. Way to distinguish is the bosses of anterior leg. They sometimes bend their belly. Also, they are good at tree climbing. So, we can see them on the tree. Imago of "ハラビロカマキリ" works from Autumn. So, we can see it December. 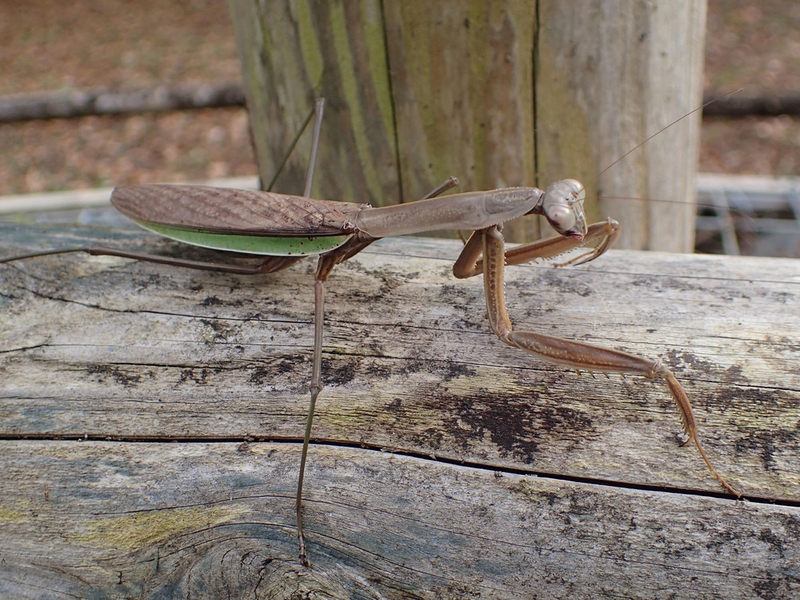 Japanese mantises are interesting and are cool insect.